About 50 km from Reykjavik and only a short distance from the main road, Lake Medalfellsvatn has whooper swans and great northern divers and, at the outlet, harlequin ducks. On the Whale Bay many shore birds, eiders and gulls can be seen. Multitudes of gulls, mainly greater black-backed-, lesser black-backed, glaucous-, and black-headed gulls and also fulmars nest in the area. The fertile lowlands of the Borgarfiord District have most of the common nesting birds of the country. In recent years the black-tailed godwit has invaded the area and has become a common nesting bird. On the islets off the coast north of the Borgarfiord Bay, many species of sea birds, such as shags and cormorants nest. From the mouth of the bay to the Snaefell Peninsula the seashore is mostly sandy, and at low tide, extensive mud and sand flats emerge. These flats are inhabited by countless flocks of knots, turnstones, sanderlings, dunlins and ringed plovers. In the migration season, when passage migrants are mixed with summer visitors, the sand flats seem to be alive with birds. The oystercatcher is a typical nesting bird on the seashore in this part of the country. Grey phalaropes nest on the island Hjorsey, not far from the coast. Here also brent geese on passage can be seen in considerable numbers, mainly where eel-grass occurs; on the adjacent lowlands white-fronted geese are common migrants in spring and autumn. Barnacle geese are also seen on passage in this area. Short-eared owls are found here in suitable places, but they are not common. Near the south coast of the Snaefell Peninsula, just east of Budir, there are several small lakes with rich bird life. From the roadside one can see great northern divers, red-throated divers, many different ducks, slavonian grebes, several colonies of black-backed gulls, arctic terns, red-necked phalaropes and many more. Stapi and Hellnar are good places for kittiwakes and in any case are worth visiting for the spectacular scenery and lava formations. On the tip of the peninsula are two cliffs with kittiwakes, fulmars, guillemots and Brünnich’s guillemots. Near the villages Hellissandur and Rif, just below the glacier Snaefellsjokull, is one of the largest terneries in Iceland. On the northern side of the Snaefell Peninsula, in the Grundarfiord region, there are colonies of glaucous gulls on the cliffs, while on the island Melrakkaey on the bay, the glaucous gulls actually nest on the ground. The Breidafiord Bay has many small islands with abundant bird life, particularly large populations of shags and cormorants, and grey phalaropes nested on some of them. The best way to get to those islands is by boat from one of the fishing towns. 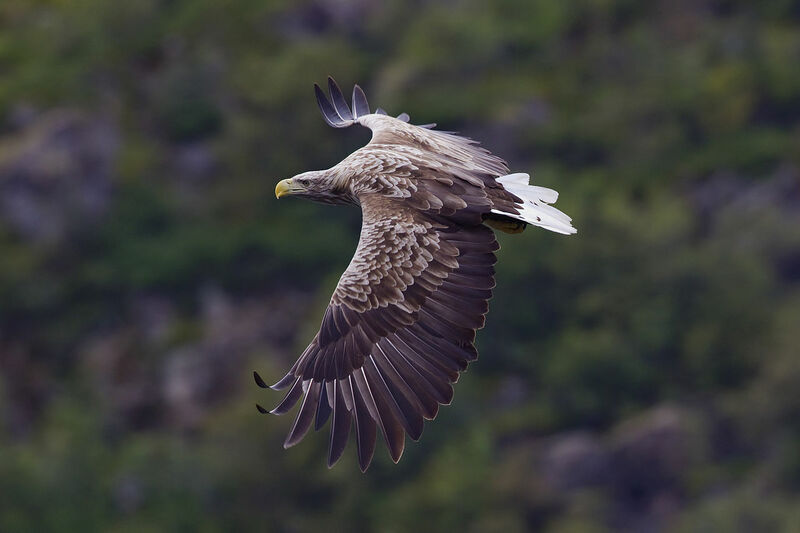 White-tailed eagles are frequently spotted in this area. North of the Hvammsfiord Bay, in the cliffs of Klofningur, are large colonies of glaucous gulls.